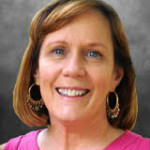 Sue Thoms is a writer and storyteller who joined Health Beat after a 30-year career at The Grand Rapids Press. She loves writing stories that shine a light on the resilience and beauty of the human spirit. In addition to medical features, she writes fiction and has published seven picture books for children. Michigan born and raised, Sue enjoys exploring the state with her family―especially the lakes, sand dunes and ski hills. Contact her at susan.thoms@spectrumhealth.org. Sixteen-year-old Lizzie planned to take part in Project Night Lights—just not as a patient. Philanthropist and entrepreneur remembered for his leadership, generous heart and commitment to improving health care in West Michigan. While proud of the tremendous growth of Spectrum Health during his 18 years of leadership, President and CEO Rick Breon is ready to embrace retirement life. Resilient and fun-loving, Kingston battles spinal muscular atrophy with help from physical therapy and a breakthrough medication. Learn about the worst culprits behind summertime foodborne illness and practical ways to avoid them. A discovery of an abdominal aortic aneurysm leads an 81-year-old woman to an innovative, minimally invasive treatment. When a hospice nurse invites 84-year-old Lloyd Robinson to her farm, memories of his childhood and rodeo days spill forth. Born with a rare disorder that causes visual impairment, Luna is a 2-year-old girl who is full of surprises. Adjusting to life without her right leg, Nicole Campbell shows tenacity and humor. Her goal: to return to the teaching job she loves. Here are ways to make your fitness commitment last all year.